View Large / Printable Map (PDF) or click on the map picture above. Visitors are encouraged to park in one of the university’s nine parking garages. For more information, see the daily parking rates. 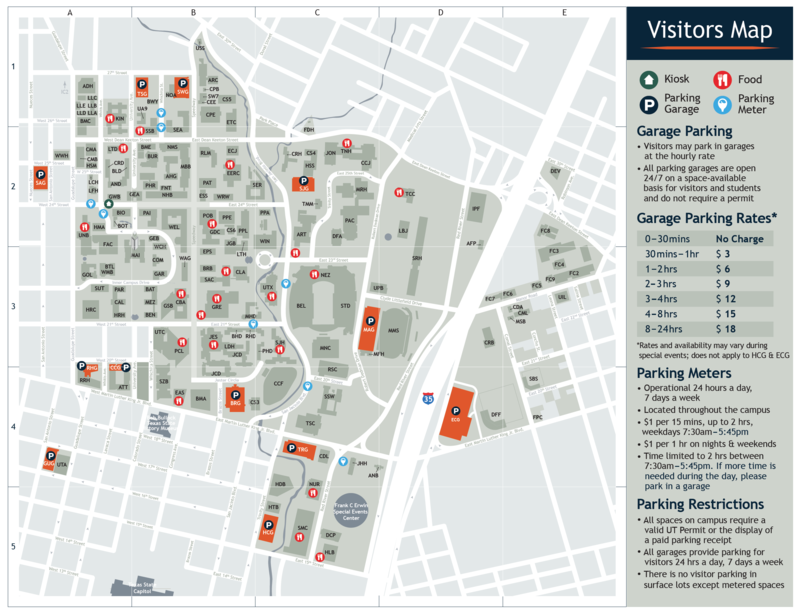 For on-screen viewing, please use our interactive campus parking map.